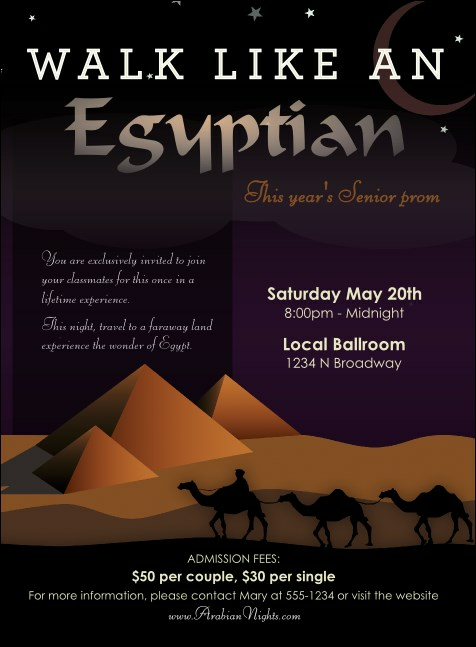 Invite Pharaohs and Queens with the regal Egyptian Invitation. A dark lavender night sky covers golden pyramids in the desert, with a caravan of camels making their way across the Sahara. Complete your promotions with coordinating tickets, flyers, and posters in a Matching Event Kit. RSVP to enchanting evenings with the right invitation from TicketPrinting.com.